Cohen Film Collection announces the release of Jean Cocteau’s masterpiece LES PARENTS TERRIBLES on Blu-ray, DVD and digital platforms on October 30, 2018. Starring French icon Jean Marais, the recently restored film was re-released theatrically by the Cohen Film Collection this spring to mark its 70th anniversary. In this heartbreaking drama based on Cocteau’s highly successful stage play, a mother smothers her grown son with boyish love. When the son (played by Cocteau regular Jean Marais) meets a girl and leaves the family circle, the mother flies into a rage. But when the young man tells his father, it sets off another drama – she is none other than the girl (Josette Day, star of Cocteau’s classic Beauty and the Beast)the father has been secretly seeing. Tragedy strikes in this time-honored tale of fledglings leaving the family nest. 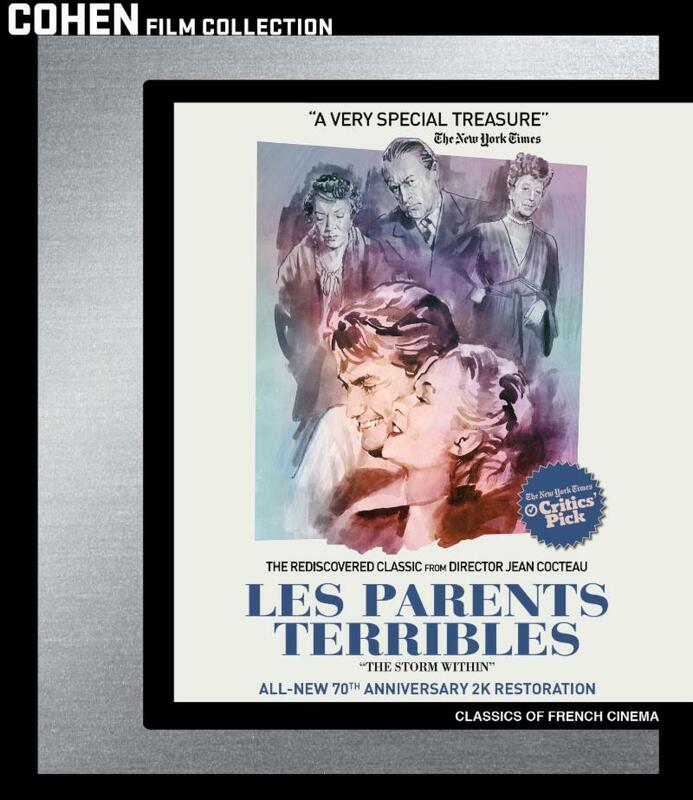 The Cohen Film Collection’s Blu-ray and DVD of LES PARENTS TERRIBLES will both include a theatrical re-release trailer, original camera tests, a filmed introduction and other extras.